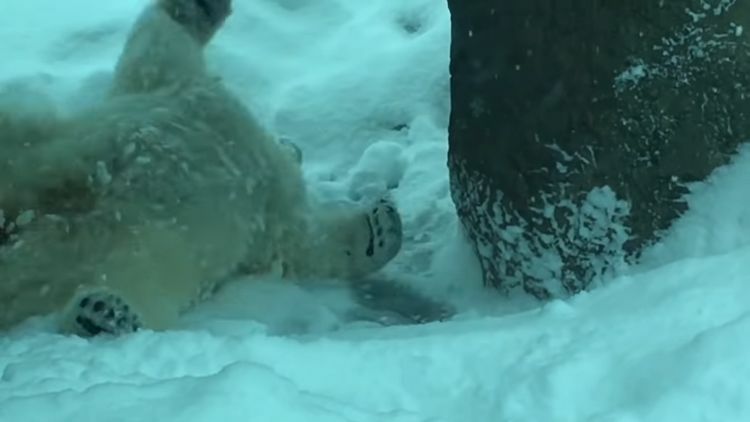 Snow is no problem for a polar bear. In fact, it's the bear's preferred playground. Finding polar bears in the sunny plains of a place such as California doesn't happen naturally as the unique features of their bodies make them suited for living in the Arctic Circle. Everything about the polar bear, from its white fur to its extra layer of fat, helps it survive in frigid conditions. 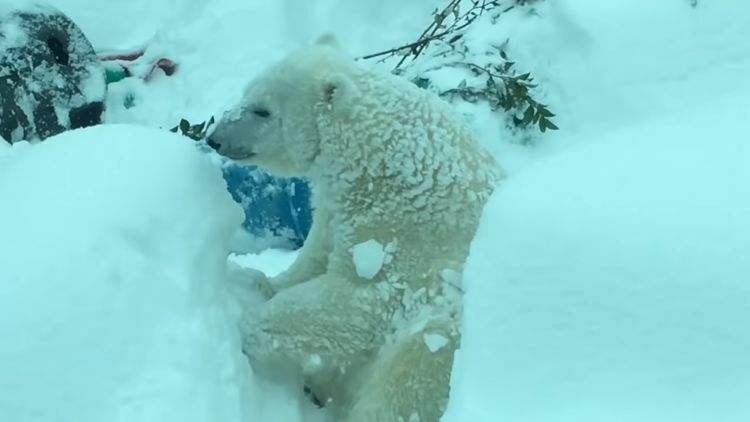 For a bear that lives in captivity, though, a snow storm that puts people indoors by the fire has the polar bears outside playing. The polar at Oregon Zoo known as Nora, according to Cleveland.com, enjoyed a romp in a winter storm in Portland, Oregon. The storm was so bad, FaithTap reports, that one of the zoo workers skied into the zoo to check on the animals. Nora, rather than hiding away from the cold, decided to enjoy herself and rolled around in the snow. With her extra layer of fat, she even went for a dip in the water without any concern of catching a cold. 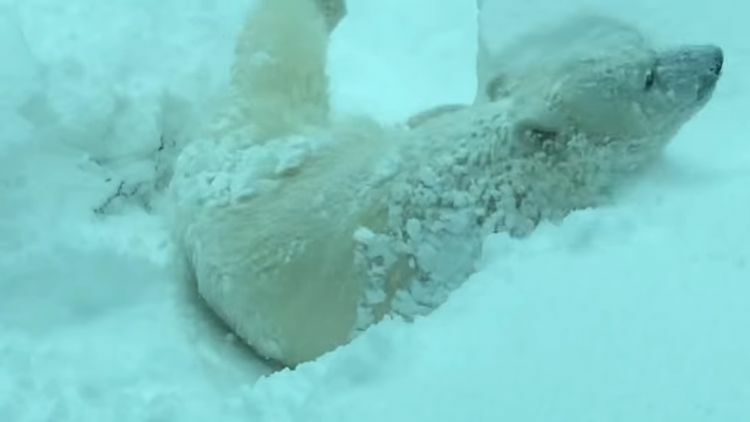 This polar bear had the time of her life. 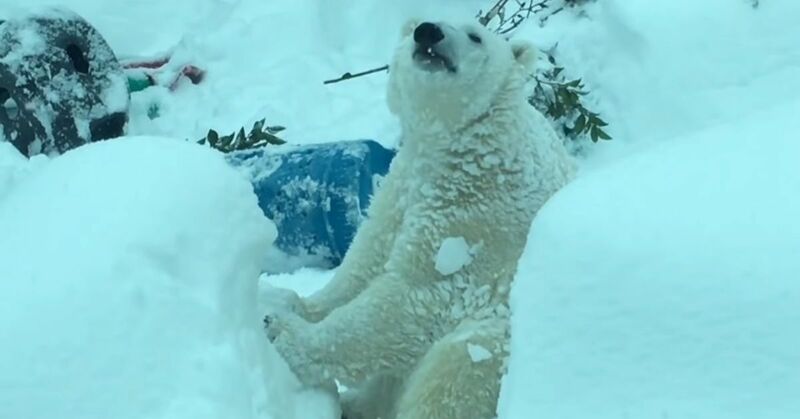 Those who head to Oregon Zoo to take a peak at this snow-loving bear will a little disappointed, though. 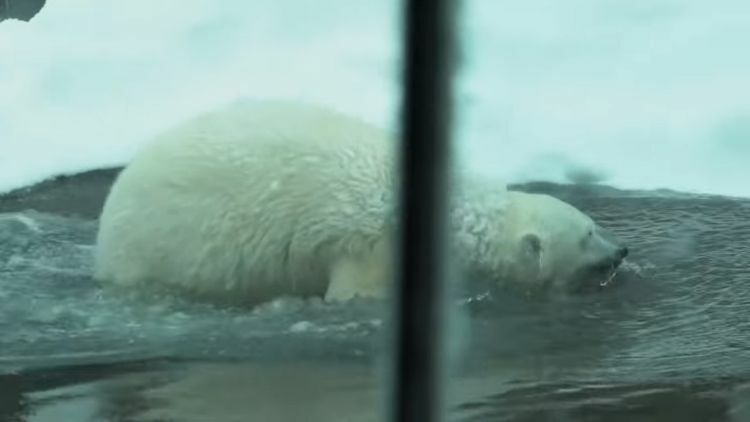 The Oregonian reports that the zoo is redoing its polar bear habitat, so Nora has temporarily taken up residence at Utah's Hogle Zoo in Salt Lake City. Hopefully, she's still enjoying a few snow days.